Although we don’t often recognise it, choosing photo editing software for your PC or Mac is a very personal thing. What suits one person won’t suit another, and it’s made even more complicated by the choice of editors now available. 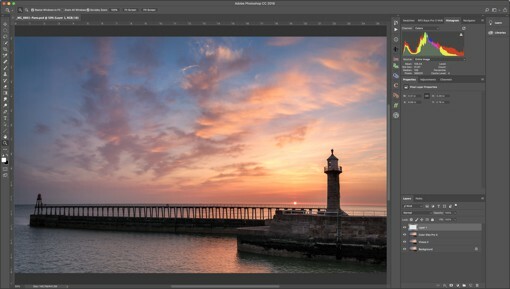 Start by making a list of all the features or capabilities you would like to see in your ideal photo editor. It may sound like a big job, but it isn’t, and it will save you a lot of time. Once you have your list, rank the features based on their importance to you. You can do this by assigning a rating to each of the features; is it a “Must Have”, “Should Have”, “Could Have” or “Would Like”. Each of these has a different level of importance to you with the “Must Have” features being a deal breaker if they are missing. Create a shortlist of possible software to try, based on the features listed on the company websites. Now download the trial versions for each of the packages on your shortlist. Next, pick five photos from your collection and try editing each one using the trial software. This will give you some idea as to how much you like using each of the packages. As you work, you will probably find new features that you want to add to your priority list. If you follow these two tips, you will probably end up with a couple of photo editors that you favour. Don’t make a purchasing decision yet unless you have one clear favourite that’s miles ahead of the rest. Instead, spend a week working with each of the packages before coming to a final decision. Often, it’s only when we use a photo editor for real that we understand how well it suites us. It’s obvious when you say it, different photographers have different needs and demands choosing photo editing software. But the features are not the only things you should consider when selecting a photo editor for your Mac or PC. Here are a few other points that you might have forgotten about, but which might be important, or even essential, in your decision-making process. It’s not uncommon for photographers to have both a Windows PC and Mac for their photography. And this can mean that they would like to run their photo editor on both platforms without needing to purchase a version for each. Even if you only use a single platform like a PC, there’s no saying you won’t switch to another in the future, in which case you won’t want to have to purchase another license. A similar point to this is the number of computers you might want to use the photo editor on. Some licenses might restrict you to using the photo editor on a single computer, requiring you to purchase additional licenses. Be sure to consider these points as part of your decision making. How often does the company release paid for and free updates for the software? This might be important if you encounter a bug, or a security hole that must be fixed. It may sound silly, but if you are looking for a photo editor that can convert RAW files, is it compatible with your camera’s RAW files. Even if it is compatible, does it create a good conversion? You could run into problems where the software doesn’t yet support a newly released camera. Equally you might encounter problems with the image quality of the converter with your RAW file. For example, some RAW converters don’t do a very good job of converting the RAW files from my Fuji camera whilst othes are excellent. This isn’t something you usually consider until you have a problem, but it’s worth checking in advance. Are you able to contact the software company through their website or do they hide behind a user forum where you report all errors? Is there an active user forum where people help each other? Try contacting them with a simple question to see if you get a quick and helpful answer. Search the internet for people’s experience of the company’s support. Will you need comprehensive training material to be able to use the software? And importantly, is this available? Are there books and tutorials covering the photo editor you are interested in and are these at the right level to help you and in the best format for you? Some people like printed books, others like eBooks, some use online reference manuals and others like video. 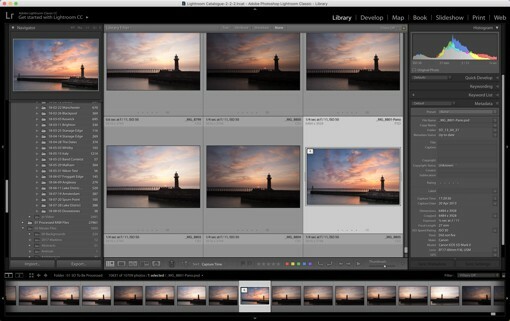 Be sure to check what’s available when choosing your photo editor. There are currently three broad categories of license model. Each has its pro’s and con’s which you should spend a little time to consider before choosing photo editing software. You may find that the model you wanted to get away from has a lot of benefits which you think are essential. Software Rental or SaaS (Software as a Service) is where you pay a monthly subscription for the right to continue to use the software. When you stop paying, the software is remotely disabled or crippled in some way to prevent continued use. Adobe is one company that has come under heavy criticism from users in recent years for their switch to this license model. You might even be reading this article with a view to finding an alternative to Adobe products (don’t worry, I have plenty of ideas for you). A lot of people don’t like the rental model as it can seem expensive and locks you in to making regular monthly payments. Compare this with purchasing a license and it’s possible to skip some versions of the software if you don’t need the features, or just want to manage costs. Where the rental model is valuable is that it keeps your software up to date. Each time there is a new release, you can update to that version. If you buy a new camera which has a new RAW format, it’s quite certain the software will soon support the RAW files. Here you purchase a license which grants the right for you to install and use the software on one or possibly more computers. Notice I haven’t said you purchase the software, you are only purchasing a license to use the software. If you read the small print on all software licenses you will find you haven’t purchased the software, only a license to use it. The point to be aware of when buying a license (as well as the number and type of computer it allows you to install the software on) is how often the company makes a new release. Some companies will use a minor and major release schedule for their image editors. Typically, the minor releases are free whilst the major releases are a paid upgrade. Some software companies use a 12-month release cycle which can make the cost similar to the rental model. 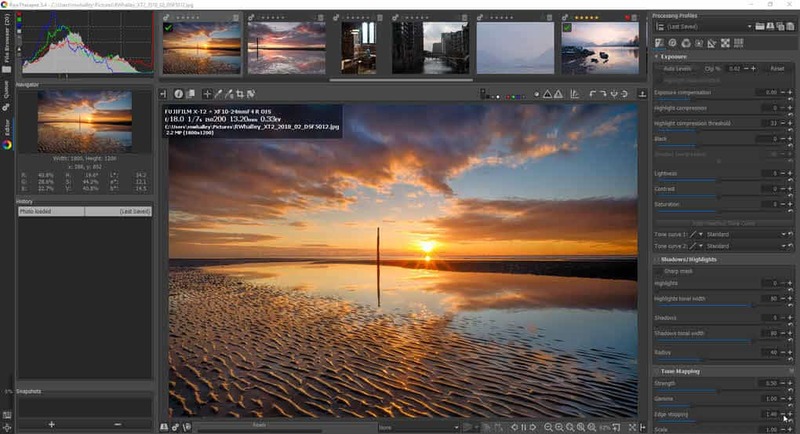 Others, such as Topaz, have a lifetime license model where you will receive new updates for as long as the photo editor exists. How often is the software updated? Sometimes there can be long gaps between releases because new releases depend on developers giving their free time. If you’re waiting for a RAW converter to include support for your new camera, the wait can feel like eternity. When you download a new version of a photo editor, it may not be stable. Rather than having a dedicated team of testers, greater reliance is placed on users to use and report problems. If you’re an advanced user, you might use features that few people have used and therefore encounter more problems. You may find some of the interface features a little quirky or tricky to use. Sometimes you wonder if the developers even considered the user experience. Providing you’re willing to put up with these points, there are some great free photo editors available. Just be sure you appreciate the possible limitations. Now you know the types of things you should consider, look at this list of some of the best photo editors I have used. The list includes Mac and PC photo editors as well as software from all three license models discussed above.